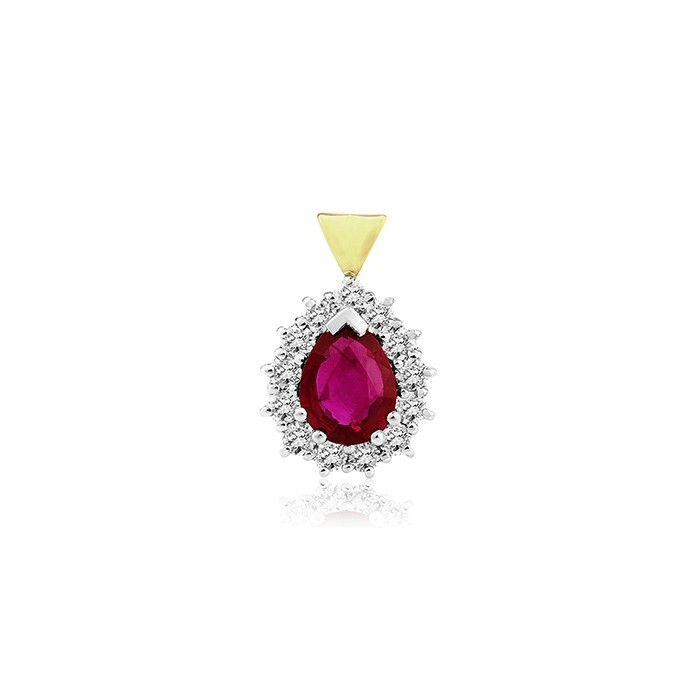 A deep red, highly lustrous Burmese ruby is the centrepiece of this luxurious pendant. Measuring 8 x 6mm, this perfectly pear-shaped gemstone has been surrounded by claw-set round brilliant cut diamonds in a bespoke hand-made mount to ensure a perfect fit. The white gold claws of the setting have been topped off with an elegant yellow gold bail to complete the look. 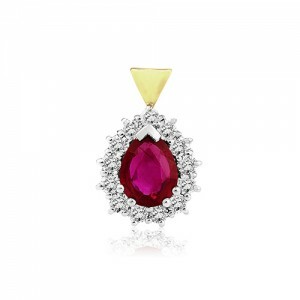 Ruby is of course the traditionally associated with a fortieth anniversary but anyone with a birthday in July or those who are simply enthralled with the beauty of this gorgeous red gemstone will appreciate this fine piece of jewellery. (Chain not included).